The recent claim by the Nigerian Maritime Administration and Safety Agency (NIMASA) that it was winning the war on piracy recently received a boost from the Nigeria Merchant Navy Officers and Water Transport Senior Staff Association. 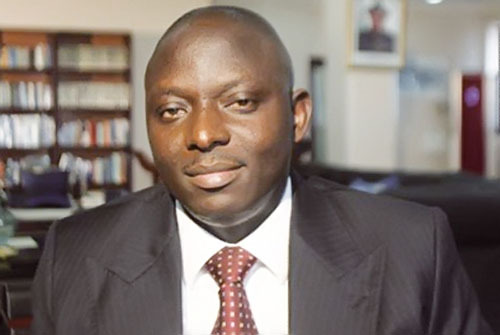 The Director General of NIMASA was recently quoted as saying that the agency was winning the war on piracy when he played host to journalists under the aegis of Maritime Reporters Association of Nigeria (MARAN) in his office in Lagos. Speaking to Primetime Reporters in his office in Lagos, the National President of the Nigeria Merchant Navy Officers and Water Transport Senior Staff Association, Engr. Matthew Alalade said that the claim attributed to the Director General of NIMASA was not far from the truth. Alalade stated that his position was informed based on the fact that the federal government recently complemented the effort of NIMASA with the aerial surveillance of the nation’s inland and coastal waters even as he did not rule out the contributions of the Nigerian Navy in the regard. According to him,” if he said that we are winning the war on piracy, he is not far from the reality on ground because the federal government in the later part of last year complemented the Maritime security with aerial surveillance and air logistics to back up the navy that is an arm of the Nigerian Armed Forces”. “And we see this one as a good development, we have seen our members being attacked and captured but at the same time, they are being released after sometimes or some days without ransome paid according to reports”. He however advised that irrespective of the efforts made so far by the NIMASA and other collaborating agencies, they should step up effort in the fight against piracy on the Nigerian coastal waters. The National President further want the federal government to hold the traditional rulers of any community where an act of piracy or sea robbery was carried out accountable for such crime arguing that that way, leaders at various community level would wake up to their responsibilities as patriotic citizens of Nigeria. Alalade further pointed out that the government should increase the security at the water fronts in order to reduce if not totally eliminate the menace of sea robbery adding that since Nigeria was blessed with enormous water fronts and inland waterways, they should be properly manned to save lives and goods that travels through the routes on daily basis. Speaking on the report released by the International Maritime Bureau (IMB) which placed Nigeria second after Indonesia in terms of piracy attacks in the world, Alalade opined,” well, that is a foreign report and we have our own report. The federal government or NIMASA may have taken their yardstick from the past record within their domain, so if another organization is writing a different report from what NIMASA claims, they also have their own justification for writing such report”. “There is no much dilemma in this report. The International organization, their report is okay according to their yardstick judging with one nation or the other but our own government agency gave their own report based on the previous year’s experience. So in any case, they are moving ahead, they are moving forward”. The Merchant Navy boss also while acknowledging that the Federal government made progress in the last one year in the fight against piracy, however said that the progress made was not enough especially as their members fishing trolleys recorded the highest number of attacks last year resulting in the low production of fish in the country thereby making the few fish available in the market very expensive thereby urging the government to do more as to assure their members of their safety on the nation’s territorial waters.